He's the size of a BEE. Hummingbirds are familiar visitors to gardens during spring and summer, hovering in midair, dipping their long, tapered bills deep into the hearts of flowers. While these birds are known for their small stature, they’re fairly easy to spot with their mile-a-minute wings and iridescent feathers. 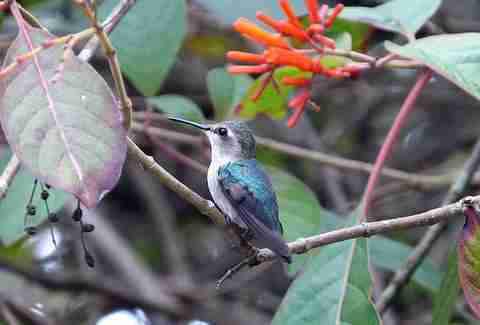 But one type of hummingbird is rather mysterious — even if you are a resident of its native Cuba. 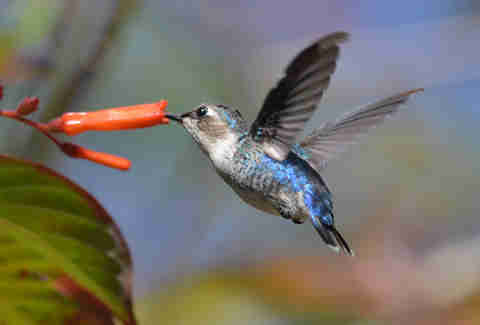 In fact, it’s the smallest bird in the world: the bee hummingbird. This petite hummingbird, with its beautiful bright plumage, is a bird-watcher’s dream (if you can set your binoculars to the right setting). The teeny tiny bird is about the size of — you guessed it — a large bee, weighing one-fifteenth of an ounce, or less than a dime. The little bird shares the island with its larger cousin, the Cuban emerald, which is over two and a half times the bee hummingbird’s size. 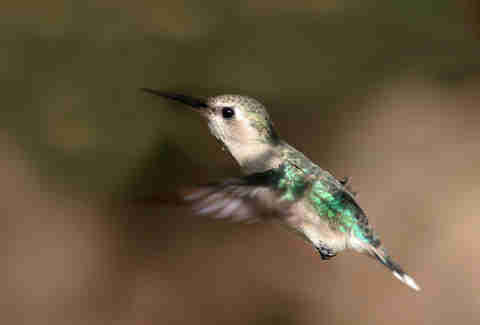 Bee hummingbirds are so small, in fact, that they have to compete with certain insects for food. In order to have their pick of the nectar, mosquitos and spiders, male bee hummingbirds defend their favorite flora from hawk moths and bumblebees. How do these tiny birds scare away the competition at such a small size? They intimidate with skill, showing off daring aerial displays of flying prowess. Everything about the bee hummingbird’s body works to keep this petite bird in the air. Their buzzing metabolism allows them to spend more time flying than any other hummingbird. Bee hummingbirds beat their tiny wings 200 times in the span of a second, out-flapping other hummingbirds who hover around 80 beats per second. This hard work requires that they eat their body weight in nectar and insects each day, darting through the air so quickly that they are able to visit up to 1,500 flowers in just 24 hours. When it comes time to make a romantic connection, bee hummingbirds have a rather annoying way of attracting a mate (to the human ear, at least). During breeding season, singing males form a cappella groups hoping to impress the ladies. Their songs may not be that great, consisting mostly of a few warbles or repetitive peeps (the same note over and over again), but the cache of being in a band seems to work for these little guys. Sadly, like so many great acts before them, once they successfully find partners, these musical combos quickly break up. 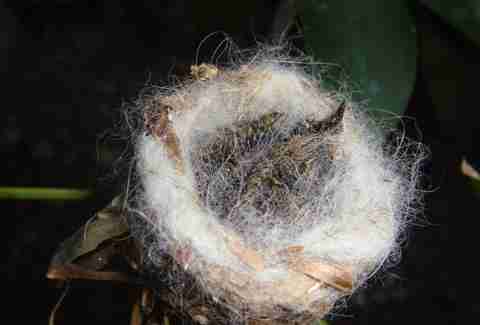 Female bee hummingbirds build nests the size of a quarter and lay one or two pea-sized eggs each year. The bee hummingbird’s size makes them vulnerable to larger birds, frogs, fish and even tropical spiders, the University of Michigan notes, but predators aren’t their biggest threat. 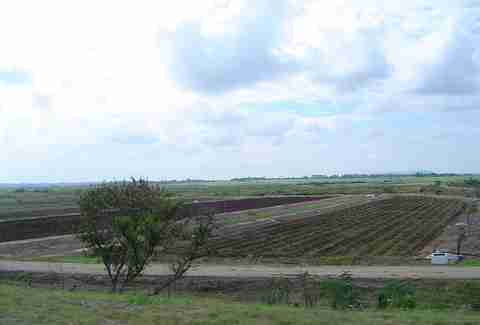 Their declining population is due to deforestation and habitat loss. Cuba’s decreasing natural vegetation, and growing pasture fields and farmland, pose a serious threat to these tiny birds who call the dense forests and woodlands their home. The bee hummingbird is currently considered “near threatened” on the IUCN Red List. But just because you can’t see this tiny evolutionary wonder, doesn’t mean it’s not there. To find out how you can help other threatened species, read more from the IUCN here.